The two armies faced each other from opposite ends of Landscar, a jagged arc of rocky hills at the edge of the Riftlands. Shimmering waves of heat rose from the cracked earth, and the sun was not yet at its zenith. Jason, Seryn, and a number of students from the Diamond Order sat atop a hill behind the Haven forces. Gatlor was with them, surveying the battlefield from horseback. In the distance, they could see the seething mass of Bothan’s army. Behind the enemy, past the other end of Landscar, the air was discolored and turbulent, with occasional flashes. The Riftlands. “His army has grown,” Gatlor said. He sounded like he was observing the weather. Jason wondered how he could sound so calm. From what he could see, Bothan’s army was well over twice as large as the Haven forces, and that didn’t take into account the races that Reyga said would be hidden. Reyga had also told him they didn’t understand why the races were working together. At this point it didn’t really matter. “I wish I could.” He’d been trying to dredge up any little scrap of the time he’d spent with Nyala. Sometimes he felt like he was on the verge of remembering something, then it would slip away, leaving him grasping at the thought like trying to catch smoke on a breeze. The sick feeling he had in the pit of his stomach when he saw the size of Bothan’s army wasn’t helping either. He knew there was no way the Haven forces could win without help of some kind. Oh good, no pressure, he thought with a grimace. Gatlor glanced over his shoulder at him. “Stay here. You should be safe with Loremaster Seryn and the other saiken, at least for a while.” Then he turned and spurred his horse toward the army waiting below. He watched Gatlor gallop down the hill. Nyala! he shouted inside his head. No answer. He closed his eyes tightly, bouncing his clenched fist against his leg as he struggled to remember something, anything, that might help them. He knew she was trying to encourage him, but the word ‘fail’ echoed loudly in his mind. He’d come to understand that the people of Lore’s Haven, and of most of Teleria, were good people. The last thing he wanted to do was sit on the top of this hill and watch thousands of them die, especially if somewhere inside of him was the power to prevent it. He saw Gatlor reach the front of the army. The warrior shouted something that he couldn’t make out. Then the Haven forces began a slow march toward the enemy. Bothan grinned. He was standing on a hill behind his army overlooking the battlefield. If this was the best they could come up with, he would be home in time for a good meal. Or perhaps he would eat in the dining hall at Lore’s Haven. He laughed as he pictured the shocked expressions at the keep when he and his forces marched through the blasted-open gates. This land would soon be his. They would see about that. He could play act as well as anyone. The young pup had been completely taken in until he’d found the dagger “Chon” had used to kill his father. Even then, the little fool hadn’t figured out that he had been the one to do the deed, rather than that pathetic Loremaster. Oh yes, he would bow and scrape to Regor’s face, but when the Shadow Lord was not around, he would run things his way. “Of course you will,” Regor said. “Just remember. I reward my servants according to their service.” Then the Shadow Lord vanished. He turned his attention back to the battlefield. He saw Gatlor raise his sword and then the Haven army began slowly moving forward. With a thought, he commanded his own forces to advance as well. As he watched the two armies close on each other, a messenger ran up the hill. “We have found the Far Planer, my lord,” the man said. He peered across the battlefield. He could just make out a small group of specks on the hillside behind the Haven force. If the boy was still sitting there, with the two armies about to attack each other, it could only mean one thing. “He still hasn’t learned how to use his power,” he chuckled. 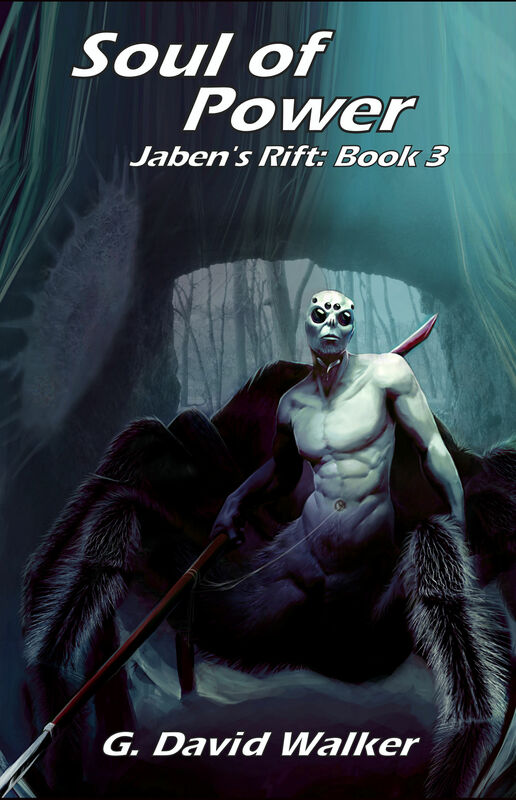 Tal gripped his staff tightly as they moved toward Bodann’s army. Although he had hoped otherwise, inside he had always known this day would come, ever since Bodann had been expelled from Lore’s Haven. At that time, Tal served as Loremaster Rake’s apprentice in the Pearl Order. Bodann had been Loremaster Madin’s apprentice in the Amethyst Order, and was on the verge of being confirmed as the next Amethyst Loremaster once Madin stepped down. He had been one of the most talented students in the history of Lore’s Haven, and could easily have mastered any of several disciplines. The fact that he was a Far Planer made this even more astonishing, as no Far Planer before had ever shown any abilities with dimsai. 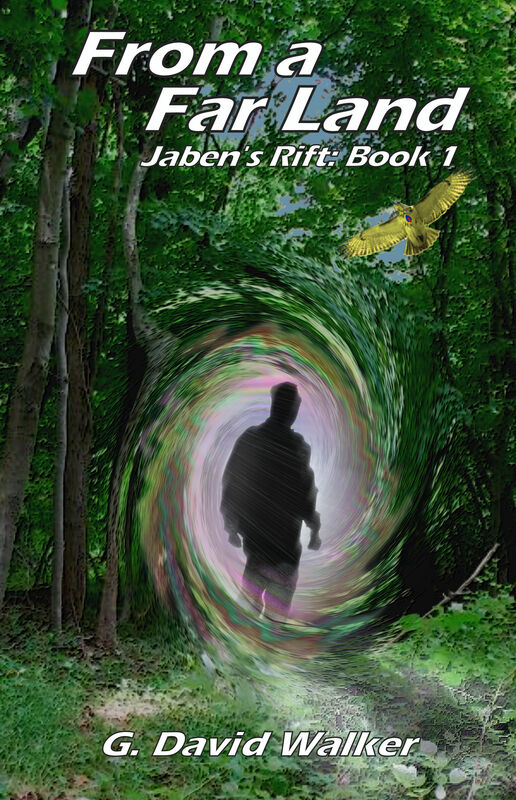 When the Circle became aware of Bodann’s beliefs, they confronted him. Bodann brushed aside their protests, insisting that knowledge was a weapon, not a gift. He argued that it should only be given to those who pledged their loyalty to the Circle. The Loremasters tried numerous times to convince him otherwise, but he was stubbornly insistent that he was right. After several very vocal meetings, the Circle decided that the only solution was to banish Bodann from Lore’s Haven. If there had been a way to remove his power from him, they would have. Unfortunately, that was not possible. Delani had been chosen to serve as the next Amethyst Loremaster in his stead. Now they faced him and his forces, with the fate of Teleria hanging in the balance. He didn’t know how Bodann had managed to unite the different races, but with his Amethyst training and power, if anyone could do it, it would be him. If Regor decided to show up as well, the battle might not last very long. His thoughts turned to Jason Bennett. The young man still did not know how to use his power. Tal had no doubts that he had power, simply because he was able to see dimsai auras, something no one else in Teleria was able to do. He was further convinced by the attention Jason had been receiving from Regor and Nyala. Regor definitely considered Jason to be a threat, while Nyala obviously felt Jason was Teleria’s only hope. He did not understand why Nyala had chosen to shroud Jason’s memories. If the boy had been able to use his powers earlier, they might not be here now. Then it occurred to him that if Jason had use of his powers when he thought the Circle had betrayed him, they might not be here now either, but for an entirely different reason. He sighed in frustration. They would simply have to trust in Nyala’s wisdom and hope that Jason remembered what he had been taught before it was too late. Gatlor surveyed the creatures as the distance between the armies dwindled. From here, he could make out humans, Trellin, and Manarachs, the latter standing head and shoulders above the others. Baruun, walking nearby, assured him that, although there was a small number of rishna kel in Bodann’s army, none were close enough to be an immediate threat. He knew somewhere underground the Grithor would be found as well. The High One and several members of the Circle rode nearby, along with a number of saiken from their Orders. The rest of the saiken were scattered among the Haven forces. “What are your thoughts?” Calador asked, walking beside him. Even on foot, the Dokal warrior was at eye level with him on his horse. Seerka walked on the other side of Calador. His eyes were forward, but his ears betrayed that he was listening closely for Gatlor’s response. He did not answer at first. Many things were running through his mind, not all of which he felt he should share. As a warrior, he did not believe that any situation was completely hopeless, but the one in which they now found themselves was as likely a candidate as any. Nor did he believe this would be a long, drawn out war. They had mustered all of the forces they could. If they lost today, there was little hope of gathering more for another try. At least not anytime soon. This one battle could decide the fate of Teleria, and unless something unexpected happened, the future of Teleria did not look good. The surprising addition of the Shanthi was a small source of hope. He had not expected the mission to Lenai’s people to succeed, and he was glad to be proven wrong. Once again, Jason Bennett had proved his worth. Baruun told them that, although Reyga was greatly respected because of his protection of Lenai, it had been Jason’s actions during the Sho tu Ishta that had moved the Shanthi to join their cause. He shook his head. The young Far Planer was a constant source of amazement and irritation. If anyone but the High One had told him that hundreds of Shanthi were at the gates of Lore’s Haven, he would not have believed them. Even with the news coming from the High One, he had to see them for himself. When he saw the ranks upon ranks of the new arrivals, he immediately began thinking of possible ways to use their unique abilities. He had fought beside Lenai more than once. He knew the leader of her people would be a kindred soul. The two of them, along with their most trusted men, discussed possible options most of the night. They now fielded a force of over ten thousand. Even with the addition of their new allies, however, he was afraid it would not be enough to change the outcome of the battle. Although the Shanthi were deadly warriors, he knew that some of the creatures they faced could be even deadlier. He also knew enough to keep such thoughts to himself. He saw that the cat-man’s ears were still cocked his way. “I think we may be more popular than I had realized,” he said for Seerka’s benefit. Seerka looked over at him, his eyes bright with amusement. “Well! There may be hope for you yet,” he said with a wink. In spite of their situation, Gatlor could not completely suppress a grin as he shook his head. The Ferrin’s confidence bordered on arrogance. Brin and three of his students rode out ahead of the Haven army until they were midway to the enemy. Then they split into pairs, one pair moving to the left, with the other moving in the opposite direction. When they stopped, one student from each pair moved a little ahead and raised a shield between them and the approaching horde. As Brin and the remaining student extended their hands toward the ground, the shields flashed and popped where occasional arrows flew into them. Gatlor heard a barely discernible rumble, and then the ground in front of the Ruby Loremaster and his students crumbled and disappeared with a crashing roar, leaving gaping holes in the parched earth. As thick clouds of dust rose into the air, the students dropped the shields and the four wheeled their horses and charged back toward the Haven army. One of the horses squealed and stumbled as an arrow struck it in the flank. The woman got her mount under control and they made it safely back to the army. “I will lead them myself. I have much to settle with Bodann and his ilk,” Brin grated as he turned his horse away. The High One raised his staff and sent a flare of dimsai into the air. The army came to a halt. Gatlor moved his horse out a little ahead and turned to face them. He looked out over the men and women, all prepared to fight to the death to save what they loved. Human, Dokal, Ferrin, Yellowtooth, all stood side-by-side watching him expectantly. Even a few Rodinn. He did not know how useful they would be in the battle to come, but had not felt he had the right to refuse them the chance to fight. A warrior’s heart was not determined by the size of the body in which it beat. The army roared its approval and surged forward as the saiken sent blazing bolts of dimsai into the air overhead. The battle for Teleria had begun. 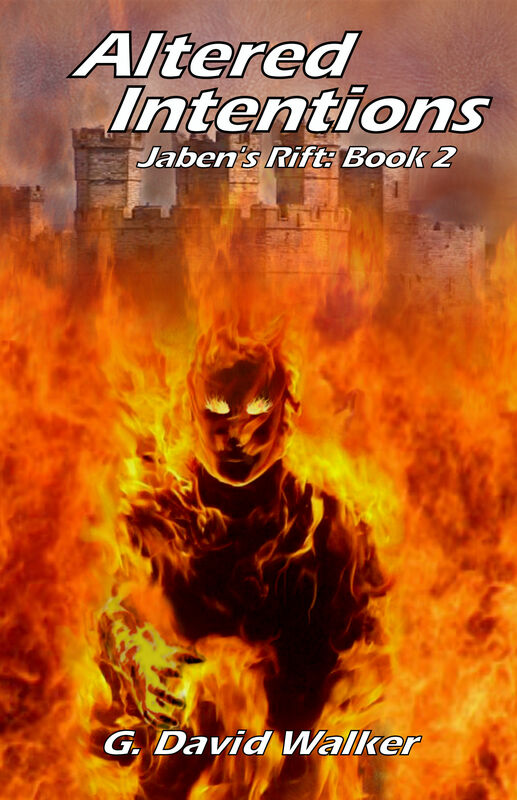 Posted on June 7, 2017 June 11, 2017 by Dave WalkerPosted in Jaben's RiftTagged Fantasy, Jaben's Rift.